When I moved to England, I couldn't figure out how the stalwart citizens of this damp, drizzly island barbecued. My first purchase, besides the biggest fridge that would squeeze into my petite kitchen, was a hot pink, portable grill. Richard laughed and rolled his eyes. It turned out, he had never barbecued in his life and couldn't figure out why anybody would do such a novel thing in Britain. transplanted to Surrey, barbecues in her garden in all weather. Many summers later, I have a better grasp of the foibles of English weather. It will nearly always rain, regardless of the season, or my intention to entertain outdoors. And while I have great admiration for my hearty friends who barbecue outside, regardless of the weather, I mostly make my outdoor food in the kitchen. 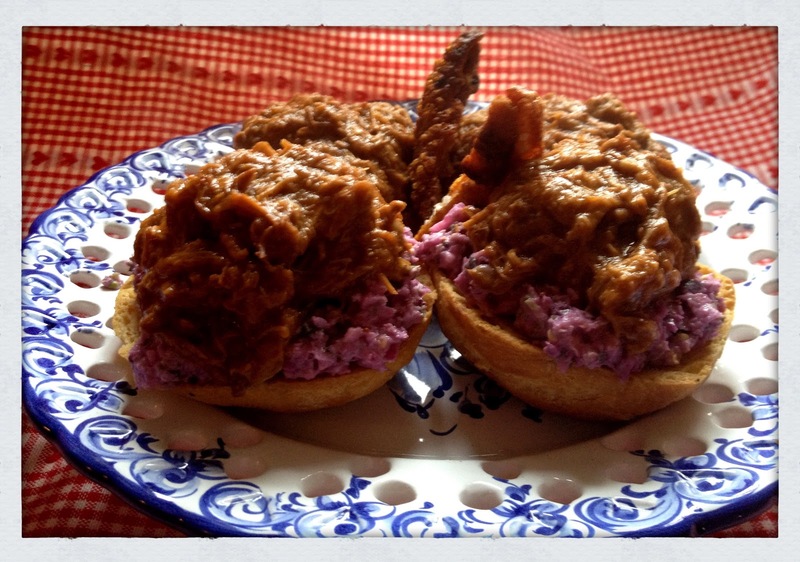 There are times when absolutely nothing tastes better than a barbecued, hand-pulled, pork sandwich, piled high on a toasted sourdough roll, with crispy cole slaw. Not to digress, but did you know Buddha's last meal was said to be pork? Most people assume he was a vegetarian, but he was known to eat pork, beef and poultry. 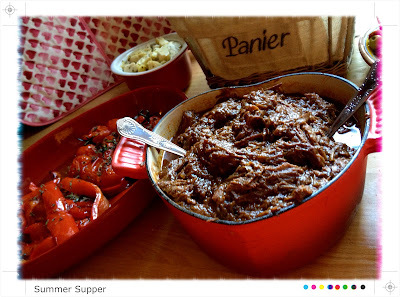 This recipe works beautifully with beef, should you have a hankering for a pulled barbecued beef sandwich. Just replace the pork shoulder with a beef chuck roast, flank, or brisket of approximately the same weight. You don't need an expensive cut of beef, as the sauce and slow cooking will tenderize the meat as successfully as it does pork. As a result, shredded barbecued beef can be a more economical option for feeding a crowd. Happily, this is one of those recipes that requires minimal effort for maximum pleasure. If you have a slow cooker, by all means, put it to good use here. If you don't, your oven will do the job perfectly. The only absolute is time. You need to give the meat time to s-l-o-w-l-y yield it's moreish goodness. 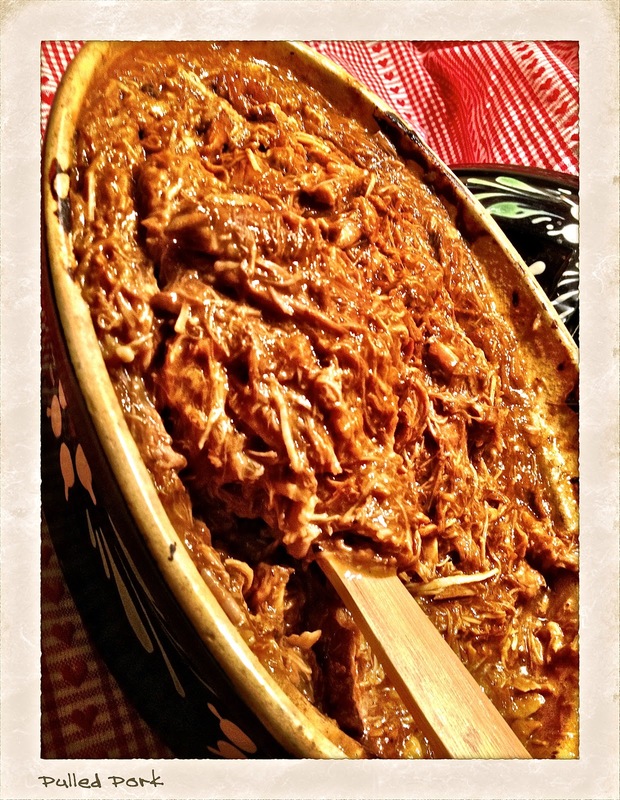 Ideally, I make barbecued pulled pork the day before I want to serve it. 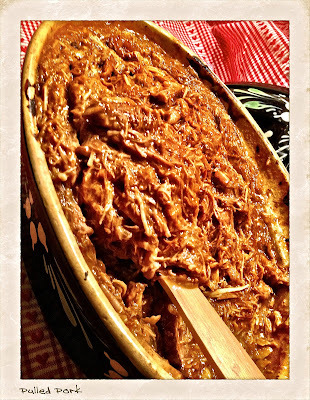 This gives the shredded pork more time to absorb the sauce, making it even more tender and delicious when slowly reheated. You'll be surprised how much the meat absorbs the sauce. This recipe should feed about eight happy bellies. I usually make it for six, so I can have plenty of leftovers. • Barbecue Sauce - 2 liters. Yes, it's a lot of sauce, but do it right and it's the only other ingredient required. Sauce recipe follows, or you can use your favourite commercially prepared sauce. 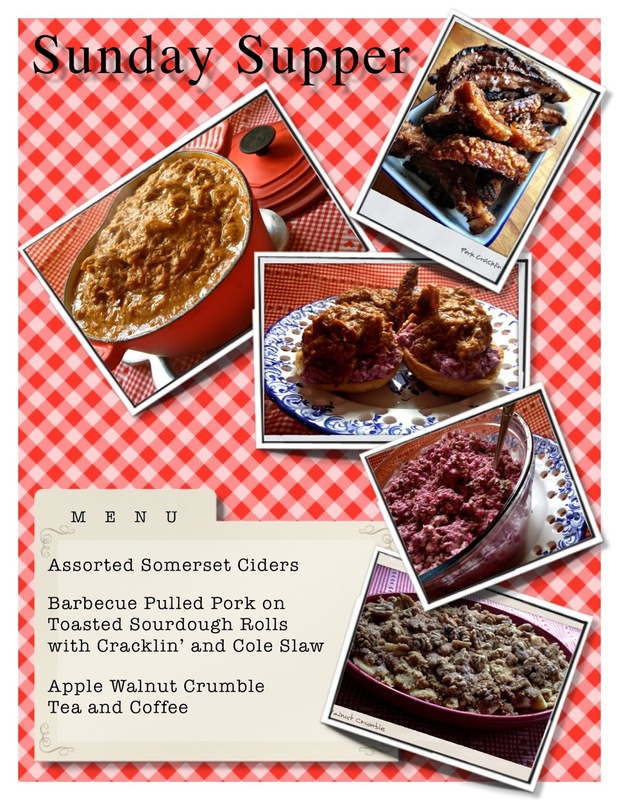 If the sauce you choose is thick, you can thin it down with water, or cider. You don't want a thick sauce here, just one with plenty of body (hold). If your pork shoulder comes with a good, thick fatty rind (it should) remove it with a sharp knife and set aside to make crackling. I usually drop it into a large freezer type bag and keep it in the fridge until a few hours before serving the pulled pork. More about this in a moment. A day or two before you want to enjoy your porky feast, place the meat in oven-proof casserole, preferably with lid, large enough to hold the shoulder AND all the sauce. Cover meat with sauce, place in refrigerator for 12 - 24 hours. Turn it once, while marinating. When ready to cook, remove meat from fridge and allow to reach room temperature. This usually takes three hours. Heat oven to 150C/300F. Roast in oven approximately 4 hours, turning once, half way through the process. Pulled Pork Sandwich piled on coleslaw and toasted rolls. You'll know it's ready when the meat is fork tender. You should be able to easily shred it, right in the roasting pot, with a couple of forks, removing the fatty bits as you go. Time allowing, you can let the meat cool down in the pot before hand shredding. This method, though, will require you to re-heat before serving, but that's perfectly okay. This allows you more control over how finely you shred the meat. Serve the pork on crusty, sourdough rolls, toasted in the oven, just before eating. I don't butter them, but you may want to. Be generous with the meat. There's plenty to go around. Serve sandwiches with coleslaw on the side and encourage everyone to slather it on to the bottom of the bun. Personally, I prefer to eat my sandwich open faced, sans knife and fork. Don't forget the crackling. Remove the lovely piece of fatty rind that came with the shoulder from the fridge. Allow it to reach room temperature, this takes a couple of hours. Cut rind into individual serving pieces. I used a big pair of culinary scissors for this job. Toss well with olive oil and sprinkle generously with coarse salt. Be sure to coats all sides. Heat oven to 220ºC/430F. Roast for 25 minutes, remove from oven, carefully drain off the fat (there will be a lot) turn the cracklings so they brown evenly all over. Return to oven and continue cooking another 20 minutes, or until super crispy. Total cooking time will depend on the thickness of the rind. You want it super-crispy - but not burnt - so be patient. 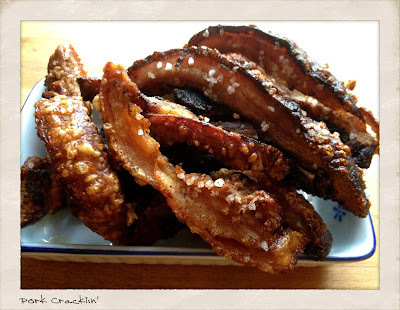 Serve pieces of crackling on the side with the pork. Everybody loves a piece of hot, crispy crackling, even if they protest. 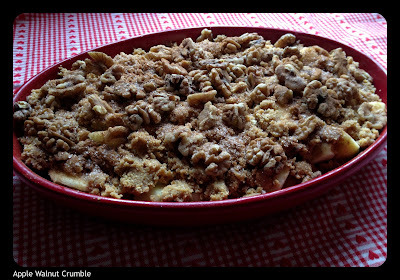 The recipe's the same as for the oven method, save for the casserole dish. 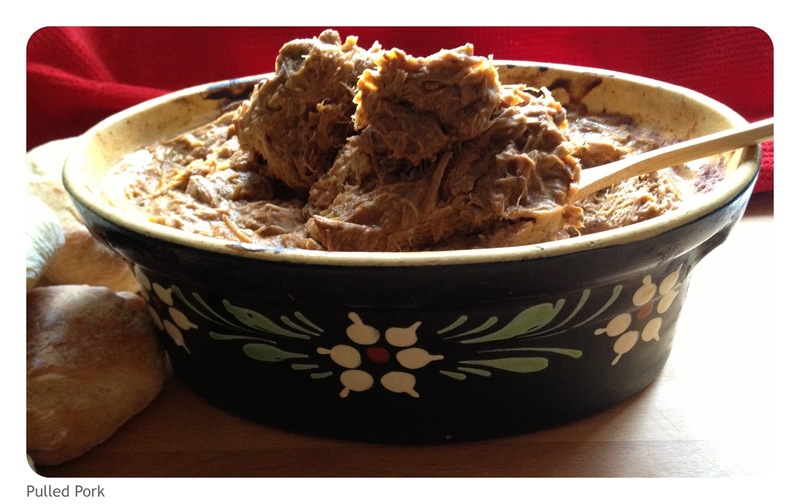 Use your slow cooker pot, removed from the heating unit, as your marinating/cooking pot. It's important to allow the pot to reach room temperature before placing it on the heating element, or it might crack. Cook about 6 hours on high setting. About 9 hours on low setting. Turn meat once halfway through cooking. If you're partial to smokey tasting barbecue sauce, try adding a heaping teaspoon of smoked paprika (mild or hot) or some dried, smokey chili peppers, like chipotles, reconstituted in warm water. Mix everything together in a large pot. Heat over low heat 30 minutes, stirring often. Taste and adjust seasoning to your taste. Cool sauce completely and pour over pork. Note: This also makes a tasty dipping sauce for chicken strips, or any time you want that barbecue taste. I appreciate that not everybody likes coleslaw. I don't care for the commercially prepared stuff you get in most stores, delis and restaurants, but I do like making this coleslaw to go with pork. The combined tastes and textures are divinely simpatico. There's dozens of ways to make this popular American diner side dish. This is how I do it. Make it a day in advance to allow the flavours to mature. 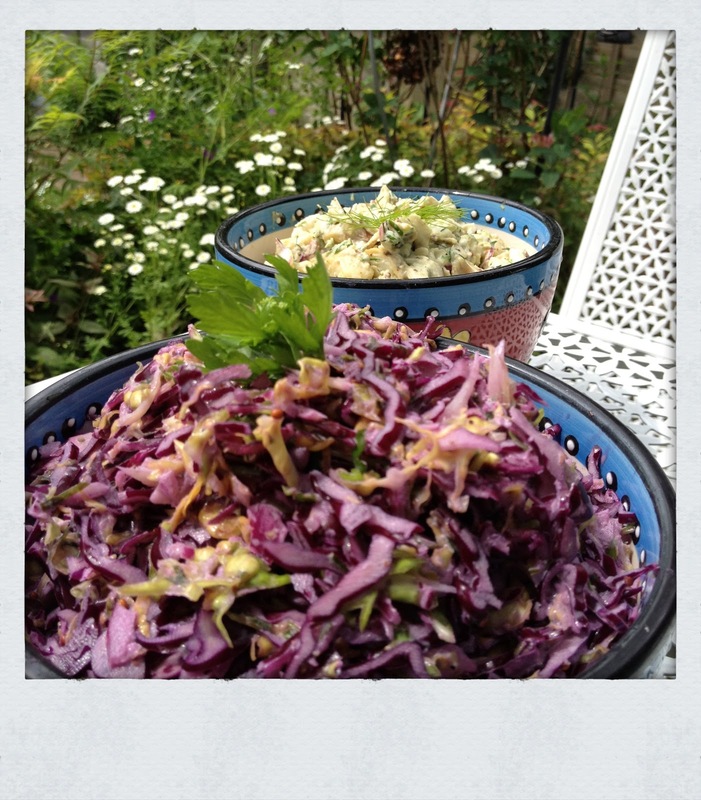 By the way, this dressing works equally well for coleslaw or potato salad. In a medium bowl, combine the vinegar, mustard, yoghurt, honey, salt and pepper. Whisk with fork until well blended. Taste and adjust seasoning to your preference. I like to taste with a little snip of cabbage to see how the flavours work together. Set aside. Next, wash and chop cabbage, fennel bulb, onion, celery and apples. Toss everything into a super-sized bowl. Pour the dressing over the salad and mix well with your hands. Cover and chill for at least two hours. Keeps well for several days. if you like, garnish with black sesame seeds, just before serving. This is the perfect make ahead menu, ideal for a casual gathering, as everything actually tastes better a day, or two, after you make it. If you're feeding several fortunate folk, serve your pulled pork sandwiches with coleslaw, potato salad, and a relish tray of small gherkins, silver onions and pickled Greek Pepperoncini (also known as banana peppers) Time permitting, I like to thread these on decorative cocktail picks. You can make good slaw out of any firm vegetable or fruit. 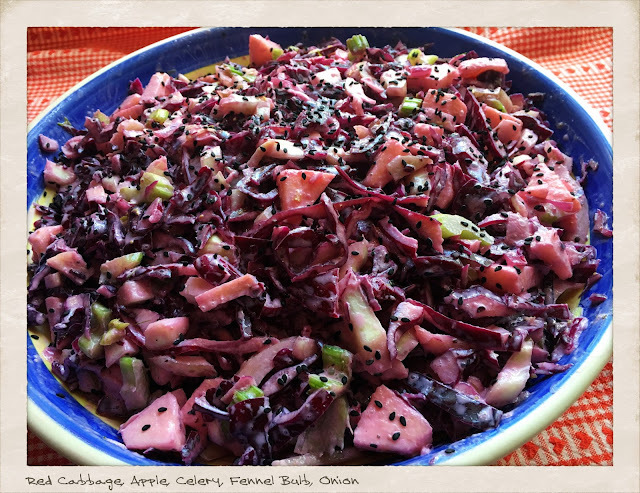 Besides cabbage, fennel, celery, and red onions, I often incorporate radishes, carrots, and/or a bit of apple. If you don't want your salad purple, replace red cabbage with white. For beverages anything apple. Apple cider, or pressed apple juice work well. Orangeade is also excellent. Personally, I think ciders work better than wine, as an alcohol option with this casual meal, but feel free to serve with a crisp, clean German white. Staying with the apple theme, an apple/walnut crumble is the perfect finish. Chocolate cake is also a winner. If the weather is warm, break out the ice cream and invite guests to make their own sundaes by offering all sorts of delectable toppings like chocolate and strawberry sauces, chopped pineapple, whipped cream, and nuts. 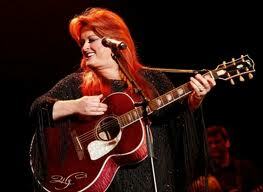 I can't eat barbecue without country music, even when it's indoors. At the very least, consider these tunes to help you get into the groove while cooking. Cowgirl boots and Stetson hat optional. kd Lang's "Big Boned Gal,"
"Crying" kd Lang and Roy Orbison . . . Lang does a lot of my kind of country music. Patsy Cline's "Crazy." 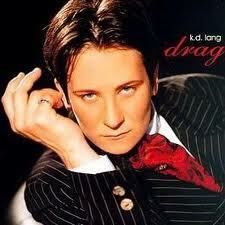 kd Lang used to claim she was the reincarnation of Patsy Cline. The Judds "Why Not Me"
Wynonna Judd "Girls With Guitars"
Merele Haggard's "Today I Started Loving You Again" and "Rablin' Fever"
The Topp Twins "Untouchable Girls"
Tanya Tucker "Delta Dawn" "Will You Lay With Me"
Other country artists worth a listen: Linda Ronstadt, Loretta Lynn, Tammy Wynette, Dolly Parton . . .